While some in the real estate industry welcomed the Conservatives' pledge this week to collect more data on foreign ownership in the housing market, many are skeptical that such information will do anything to solve the problem of access and affordability in overheated real estate markets such as Vancouver or Toronto. The Conservatives' pledge to spend $500,000 on collecting "comprehensive data on foreign buyer activity in Canada's housing market" has been met with a mixed reaction among Realtors, many of whom acknowledge the need for more data but are skeptical that such information will do anything to solve the problem of affordability in overheated real estate markets such as Vancouver and Toronto. "There are real concerns that foreign, non-resident real estate speculation is the reason some Canadian families find house prices beyond their budgets," Conservative Leader Stephen Harper said at an election campaign stop in Vancouver on Wednesday. "If such foreign, non-resident buyers are artificially driving up the cost of real estate, and Canadian families are shut out of the market, that is a matter we can and should do something about." Whether the concerns Harper referred to are justified has been hard to assess, because information about residency and citizenship status is not collected in any systematic way by the agencies that track the housing market. Canada has few restrictions on foreign ownership of real estate, and such information doesn't have to be reported in most real estate transactions. It was only in October 2014 that the Canadian Mortgage and Housing Corporation published its first, limited look at foreign investment, saying it recognized that "there is demand to fill information gaps." It found the proportion of condominium units owned by people who permanently reside outside Canada was highest in downtown Montreal and Nun's Island (6.9 per cent); Vancouver's Burrard Peninsula (5.8 per cent); and Toronto Centre (4.3 per cent) — but was only 2.4 per cent in the country overall. Pierre Leduc of the Canadian Real Estate Association said there's simply not enough data on home buyers period. "It's not just foreign ownership," he said. "One of the questions I get a lot is, 'What's the percentage of homes in Canada that are sold to first-time home buyers?' We don't know.… We don't have any data on buyers in general, so we can't even categorize. We can just tell you: so many houses were sold, so many houses were bought." 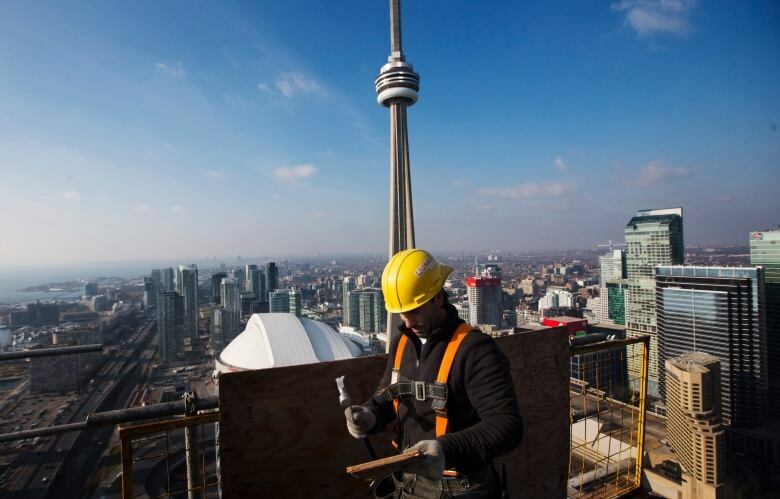 Many in the industry say more data would be a good thing — if only to put to rest the largely anecdotal notion that Canada's real estate is being gobbled up by property-hungry foreign speculators. 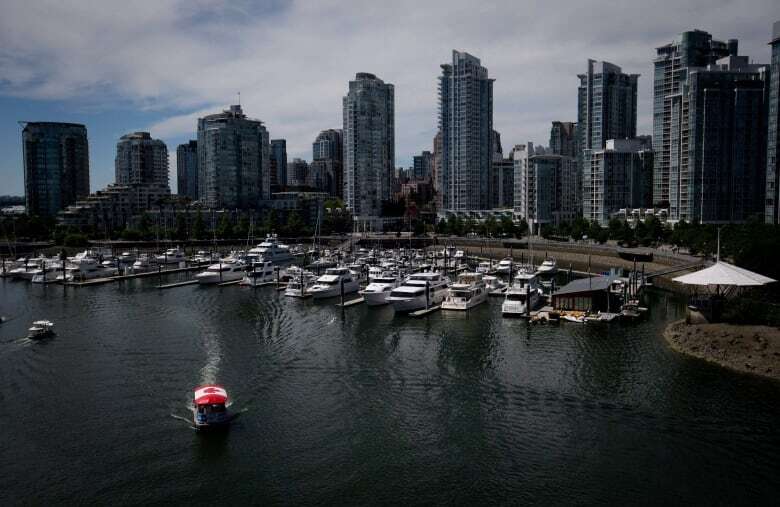 "[Foreign ownership is] not such a big deal as people think it is, but there does need to be some data, so we're not just going by, 'My friend says that every house on his street was bought by someone from China,'" said Damian Stathonikos of the B.C. Real Estate Association. Stathonikos said collecting the data won't be a problem and can simply be incorporated into the property registration or taxation process (as it used to be in B.C.). The bigger challenge will be figuring out who collects it and how to analyze and use it. "What do you want to collect? Is it where the person resides? Because you may be a Canadian citizen but reside in Qatar because you're there on an oil contract, but you're purchasing investment property. Does that count as foreign investment?" he said. "Or you may be a foreign national, but you reside in Canada." The B.C. Real Estate Association recently tried to quantify the extent of foreign ownership in Vancouver by reviewing 2011 census data and past surveys done by the Vancouver Real Estate Board, CMHC and the consulting firm Urban Futures. It concluded that in Metro Vancouver, "foreign ownership of housing is considerably less than five per cent of the housing stock and not more than five per cent of sales activity." It also found that the proportion of dwellings sitting empty or occupied for only part of the year by non-residents was not significantly different from in other large urban centres. "None of the data points show that foreign investment is sufficient enough to impact a market that's as large and diverse as Metro Vancouver, except for maybe a small segment of high-end luxury homes," said Stathonikos. Another recent study of 1,500 transactions by Vancouver's Macdonald Realty found that "only a tiny portion of the [Vancouver] market is offshore, non-resident, foreign investment." It found that buyers with mainland Chinese surnames accounted for 70 per cent of the properties Macdonald Realty sold for more than $3 million in 2014, 21 per cent of those between $1 million and $3 million and 11 per cent of those that sold for less than $1 million. These buyers have "a negligible impact on the overall market but a strong impact on the luxury market," the analysis found. Dan Scarrow, who heads the agency's Shanghai office, stressed the study looked at ethnicity, not residency or citizenship. "The vast majority of buyers of Chinese ethnicity in Canada are, in fact, Canadian citizens," he said in an email to CBC News. Vancouver real estate lawyer Richard Bell said such data backs up his experience with foreign buyers, who, he says, fall into two categories. "One is that they're buying the $3-million-plus homes, which is a very small part of the market, and two they're buying condos as investments and they're renting them out, which increases the rental stock," said Bell, a managing partner at Bell Alliance. In his speech Wednesday, Harper referred to estimates that "as many as 15 per cent of the condos in Vancouver sit empty" "No dreams are living there," he said, vowing to "take action to ensure any foreign, non-resident investment supports the availability and affordability of homes for Canadians." The estimates he cited are from a 2013 analysis by BTAworks based on 2011 census data and apply only to the downtown core. For Metro Vancouver, the numbers are closer to six per cent, according to that study, and five per cent, according to the B.C. Real Estate Association. The idea that large swaths of Vancouver are sitting empty, robbing Canadian families of the dream of home ownership, is largely a myth, Bell said. 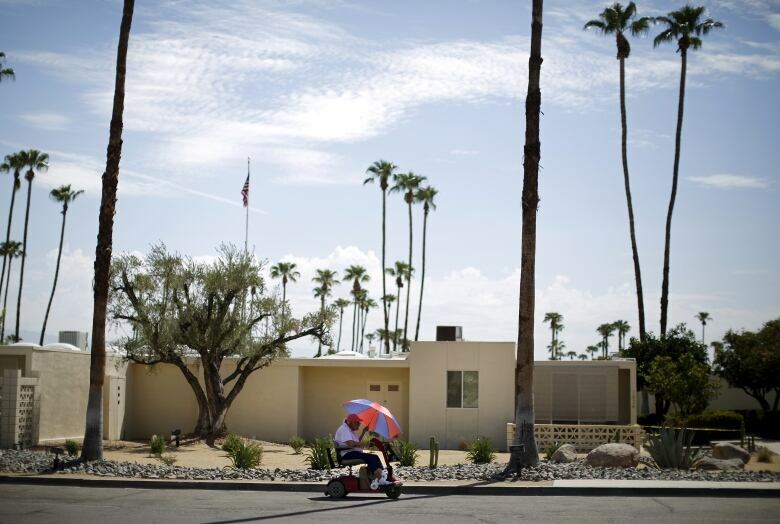 "It's sort of like Canadians buying in Palm Springs or Florida." Foreign ownership affects prices at the top of the market and trickles down to the average homebuyer only in the sense that "people that used to buy at the top end of the market are now having to move into the mid-range, so everyone is pushed down a little bit," he said. "The baby boomers who are downsizing are able to pay more than the people that are moving up." He said the anxiety over foreign ownership has less to do with xenophobia than skyrocketing house prices, which are affected by a lot more than a buyer's citizenship. "The baby boomers' kids are now starting to buy properties — generational wealth transfer is taking place; low interest rates; urbanization — young kids don't want to live in small towns anymore. So, the discussion that would be really interesting is to try and look at all the factors in play," Bell said. International Home Buying Activity in U.S.